Timeshares come with all kinds of fees that can really put a financial train on you and your family. Fortunately there is a no more fees solution with Redemption and Release. What many timeshares do not realize about fees associated with their ownership is that there are two distinctly different fees. Request a FREE Consultation Below! Full Name This is required. Phone Number This is required. By clicking submit you are agreeing to our Terms and Conditions. The first fee is called special assessments. The Home Owners Association of your resort has the legal right to charge you fees that are above your normal maintenance fees. These fees arise when your resort is damaged by weather or needs some renovations. Renovations are the most frequent reason that you will receive a special assessment fee. Renovations can range from installing a new pool or purchasing new patio furniture. The worst part about special assessments is that the amount you are required to pay is up to the resort. Special assessments can often reach as high as thousands of dollars at any time. With the Redemption and Release LLC no more fees guarantee ensures that once you have gone through our redemption process you will never have to pay another special assessment fee again! We don’t just cancel your timeshare – we redeem it. It’s a simple and painless process, and the only true way to get rid of timeshare. The other fee you should be much more familiar with, maintenance fees. 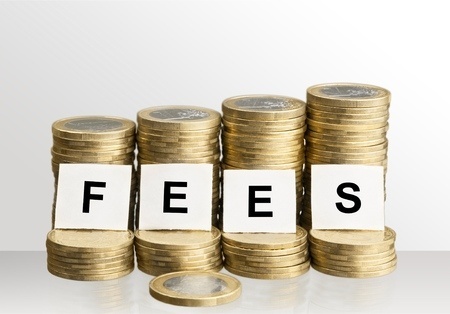 Maintenance fees are the recurring annual fees that all timeshare owners are required to pay. The cost of the fees is also decided by the home owners association or the developer. Maintenance fees are use to cover periodic replacements and normal physical deterioration In most cases , timeshare owner’s maintenance fees rise by about 15% every year. At a 15% rate increase you are better off renting a room at the resort as a normal vacationer. The Redemption and Release no more fees guarantee also certifies that you will never have to pay another timeshare maintenance fee for the rest of your life. To learn more no more fees guarantee contact us at 888-743-9051 or just fill out the form on this page to receive your free consultation. Get Me Out of my Timeshare - NOW! Need Your Contract Cancelled Now? It's a simple and inexpensive process, and the best way to get rid of a timeshare. Redemption and Release, LLC is the nations premiere Timeshare Redemption company because we offer a no-haggle, low cost, and twice guaranteed timeshare exit solution.We provide an inexpensive way to get out of a timeshare. Redemption and Release, LLC is NOT a timeshare rental or resale company. We only offer one core service for our valued clients, successful Timeshare Redemption .